* The address-parser is a Gisgraphy product and you will be redirected to the Gisgraphy web site to subscribe. Manage abbreviations, synonyms. Numbers can be as digit, letter, or Roman. Streets intersections are also supported via '@' and '&' separator (for United States and Canada). It implements all the Universal Postal Union specifications, PObox, common usages frequently used in each country (street intersection, workarounds,...). What's an address / what's not : to sum up, an address is a place where you can send a letter or whare someone could live : A simple city or zip are not considered as an address, a street name is not an address without the city,.... The parser should handle this successfully (No warranty are given) even if the parser is designed to handle REAL addresses. Please note, there is no consistency checking : it does not check if a street is in a city, if a zipcode is in this state, if a city exists, and so on. It should be seen as a lexical correction. While Address parsing is the process of dividing a single address string into its individual component parts, Formating does the opposite : It takes an structured address and returns a string as if it was writen on an envelope. Technically, it is a post-processor that puts the components in the right way, according the country specifications. The country detector is a pre-processor. It analyze the address and try to detect the country. We strongly recommend to explicitly set the countrycode, the country detector is just a helper. required (recommended for performance and relevance) : in this case, you can not omit the countrycode when you parse the address. t is not provided, an exception will be thrown. You can in this case use the country detector to detect it or try to detect it by yourself. detect_and_iterate : same thing as the 'detect' option, except that if it fails it will try to iterate over all implemented countries, the first address that is successfully parsed for the countrycode is returned. This highly decreases the performances and relevances. 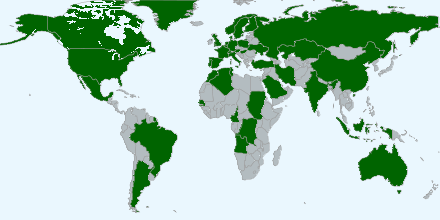 The order of the countries iteration can be configured too. Go to the contact page (Take care to leave a valid mail address for response). The International parser is based on a modular engine, it use Document Schema Definition Languages and Definite clause grammar. So we can add a new country or add a new syntax for a country very simply. Some librairies and dictionary make the engine very customisable. Missing information : we do some minor fix, we fix it by adding the information. Missing format : if the format of the address is unknown for the parser, we check if it is a commonly used format and if so we add it. In each case, We add an automated unit test, to avoid regressions due to further modifications. This way, we know that the relevance stay stable. Since the parser was written, Thousands of tests has been written, hundreds of feedbacks taken into account, and we note that the relevance is now good and stable, even if there is some differences beetween countries due to difference on the number of feedbacks. If you need dedicated access for address parser or standardizer , consult the How to buy section. If you got all the countries implemented, you need 1500MB of memory(RAM) to load the database. For the java packaging, You must have at least, java 1.5 (better performances with oracle jvm 1.6 or greater). The jar file is about 20MB. For the online version, you need an internet access. If you need some extra informations, feel free to contact us. A Java jar with no other dependencies. Java or .NET use exactly the same API and allow offline use with no limitation of number of requests. You can use the parser in any language that is supported by .NET : C#, C++, F#, VB (visual basic). The webservice allow you to always have the latest version, with the new countries added and bug corrections. There is no software installation needed. See System requirements for more informations. The standardizer and the formater are not included in the evaluation version. If you are interested in address parsing and standardization (offline or online), you can aquire a license : contact us to get further informations. The parser and standardizer are not open source, you buy a compiled versions that is royalty free. You can test the relevance by using the online version. If you're satisfied, we can go further, and we send you a pack with the jar OR the DLL, with some code samples. we can send you the license, if you need it. The offline way, when you have bought the Jar and you want to access the parser / standardizer directly. You need Java at least java 1.5, but get greater performance with 1.6 and above. We strongly recomand sun/oracle JRE (avoid openJdk, and others). No external dependencies are needed. //note that the country code can be omited. This way, country will be autodetected. //if country can not be detected, the parsing will fail. The java packaging can be run on every OS that support Java (mac, windows, linux, solaris, Sun,...). If an OS support Java AND .NET (e.g : linux with Mono develop), The Java packaging should always be prefered to the .NET one. The onLine way, when you want to use the webservice. In this case, you use the addressparser client library (provided when you have subscribed to the webservice, or use the free access), you can also use a code of your own. //When using the Premium access,you need to sepcify an apiKey (not required when using the free access). Here is a sample code in C#, that show how to use the parser/standardizer. An external library is required and provided in the packaging. The .NET packaging is supported by Windows (of course) and Linux with Mono develop. If you plan to use address parser/standardizer on Linux/Unix, it is strongly recomanded to use the java packaging. If you interested in .NET packaging, you should tell us what is the the .NET framework you will use, We will give you an optimized version. //other example but without countrycode provided. This way, country will be autodetected. Note that actually, There is no client library in C# to access the webservice. Webservice is, for people that always want the latest version, or want to use the parser or the standardizer in other languages than java or c#. The webservice is load balanced and can accept as many request as needed. All the parameters should be UTF-8 Encoded and the URL MUST be encoded too (special chars are all suported, but notdiacritic ones). The parser and standardizer are not a compromise between relevance and performance. A minimum of memory is needed to handle the knowledge database, but the performance depends on the CPU (CPU-bounds). A recent personal computer can parse between 100 and 130 addresses/seconds/thread. On a good core i7 you can parse nearly 1000 adresses/seconds. Note that .net version can have less performances. Relevance and performance are very important for us. We have a lot of unit and integration tests to assure a good quality to the final users. There is a dedicated page that allows anyone to do bug reporting. Simply fill the web form and it automatically create a unit test that will be added, after verification, to the test suite. This way, the test suite (more than 1200 tests, when this documentation was writen) grows with feedbacks, and avoid regressions when modifications are made. district The district, mainly use for Russia and China (county level) ALEKSCEVSKTY (r-n) ul. Lesnaya d. 5 pos. Lesnoe ALEKSCEVSKTY r-n VORONEJSKAYA obl 247112 RUSSIAN FEDERATION. e.g : 'california st john'=> it can be california street at john city, or saint john in california. If you need to batch process a lot of data and don't want to buy the parser, we can batch process your addresses. The price depends of the ammount of data. Some facilities are offered in the jar or the DLL. You can specify an AddressInput (file, memory, console, database,...) and an AddressOutput (file, memory, console,database,...). This makes it possible to read addresses from various sources and write them to other sources. Read addresses from a database and put in the paresed addresses in memory (Map, List, whatever). You can run several batch processes at once because the parser is multithreaded. An implemented language is a language that manage unit, street type, numbers, direction (cardinal point), Post Office Box, etc. Note that all the languages does not need all those type. If the dictionnary is not pertinent, the parser will fail for some parsing. Here is a list of all unimplemented countries. that mean that the default pattern will be used. if you want a new country to be implemented, please contact us it can be implmented very quickly but it depends on the address complexity. Note : No check is made. if you put any string it will be considered as city. Chinese address can be specify in chinese (Simplified or Traditional) or in roman script. The same Chinese address written in the Roman (Latin) alphabet, the format will be used from the smallest geographical component at the top to the biggest at the bottom. Special notes : for All patterns, zip can be before or after city, state is optional. Example :	A13, T5, SS406, SR46,..
Country can be "RUSSIAN FEDERATION" or "РОССИЙСКАЯ ФЕДЕРАЦИЯ" or "RUSSIA"
Type : Postfach, Case postale (PO BOX). In german, french and english. No check is made. if you put any string it will be considered as city. Tips : it will help, (but not necessary) the parser to have a comma before city if street type is not provided. Only English language is supported, not spanish (in some city, spanish is sometimes used due to inhabitant).